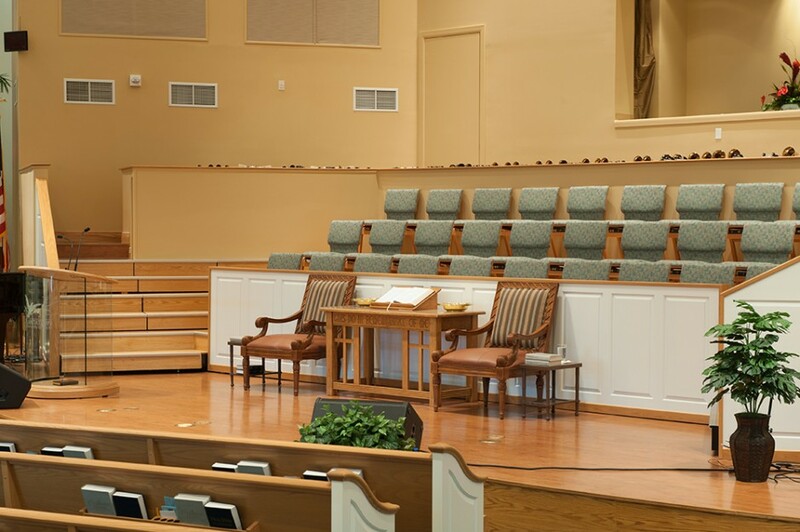 A portable seating system that maximizes your seating capacity. 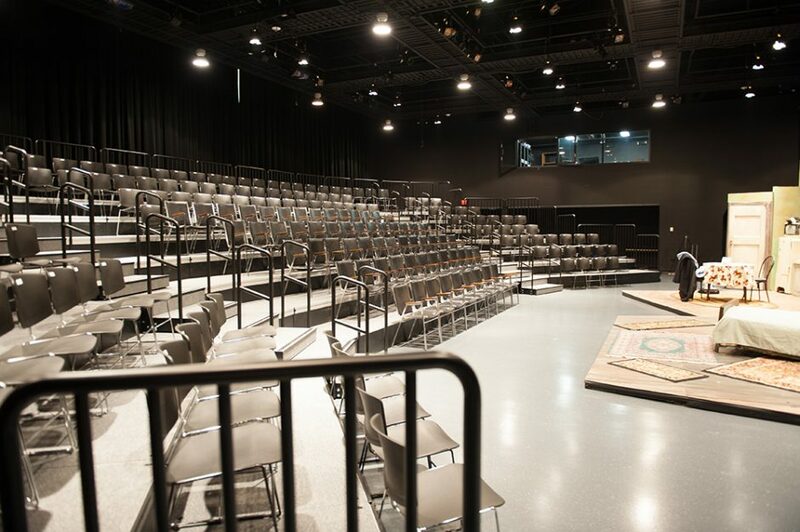 Maximize seating capacity and minimize labor with the easy-to-use portable ZHD/ML Flexible Seating Riser. 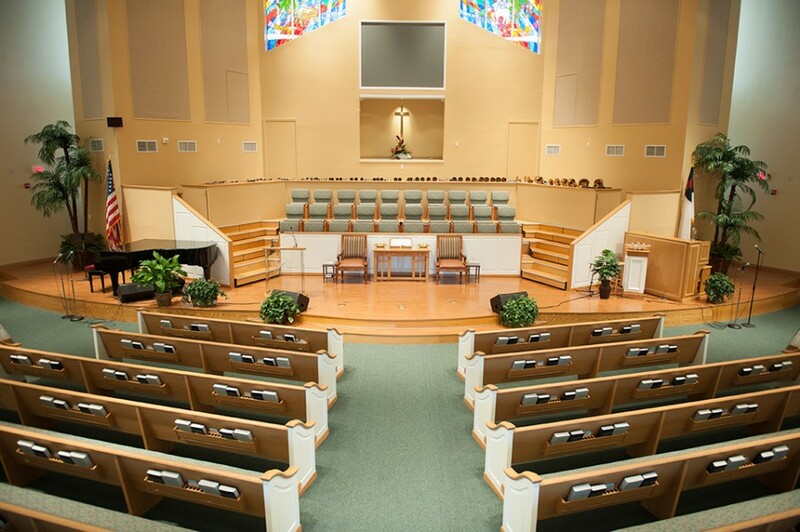 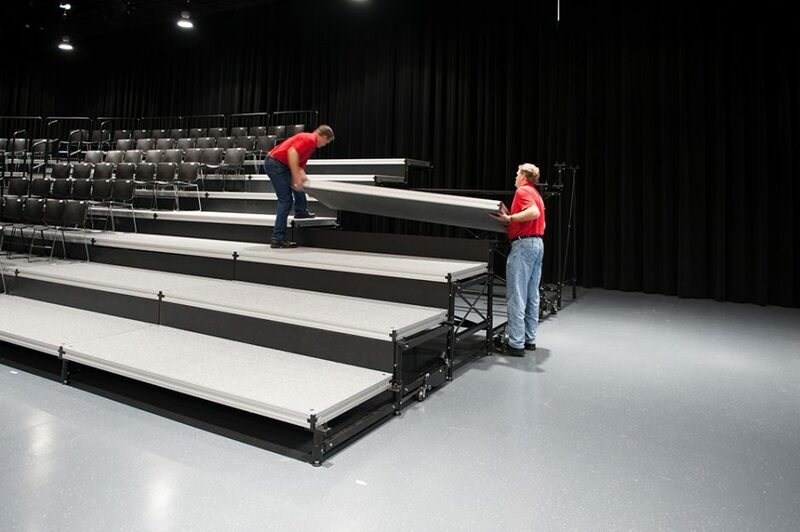 Versatility, Flexibility, and Reliability combine to make the ZHD/ML the first choice for audience seating; conference seating; theater black box riser seating and worship congregation seating. 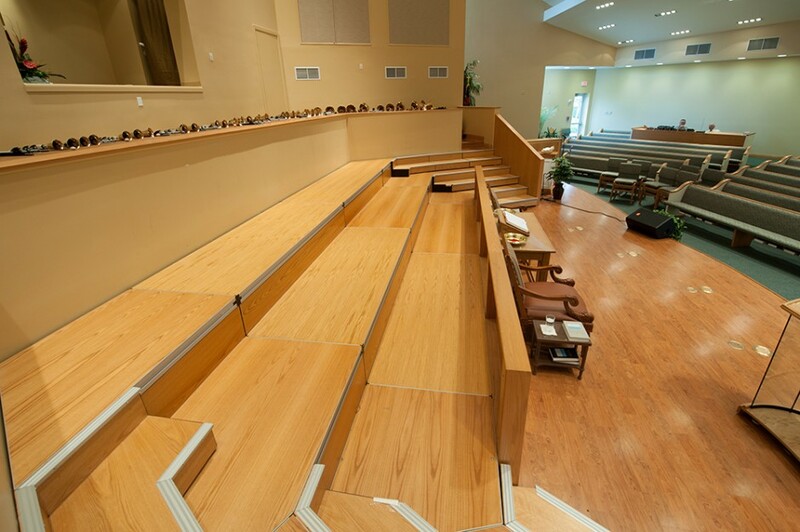 Decks bridge between understructures interlocking sections from left to right and front to back. 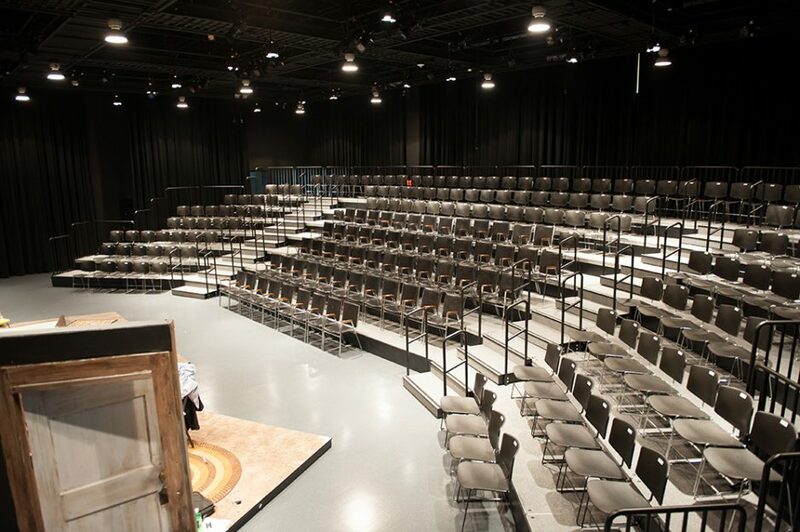 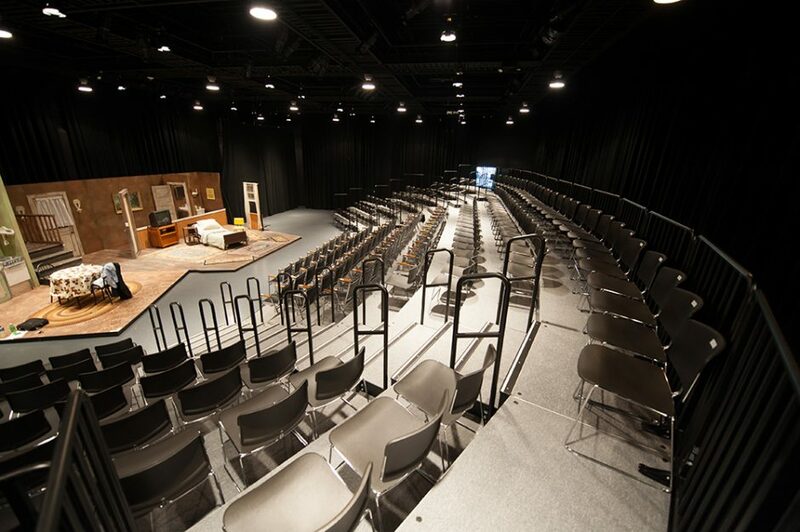 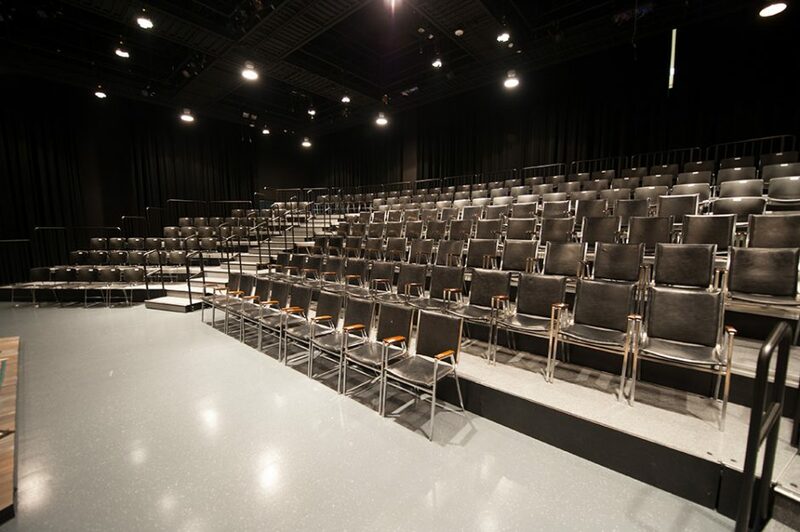 The resulting Seating Risers are so solid, that audiences feel like they are on permanent platforms. 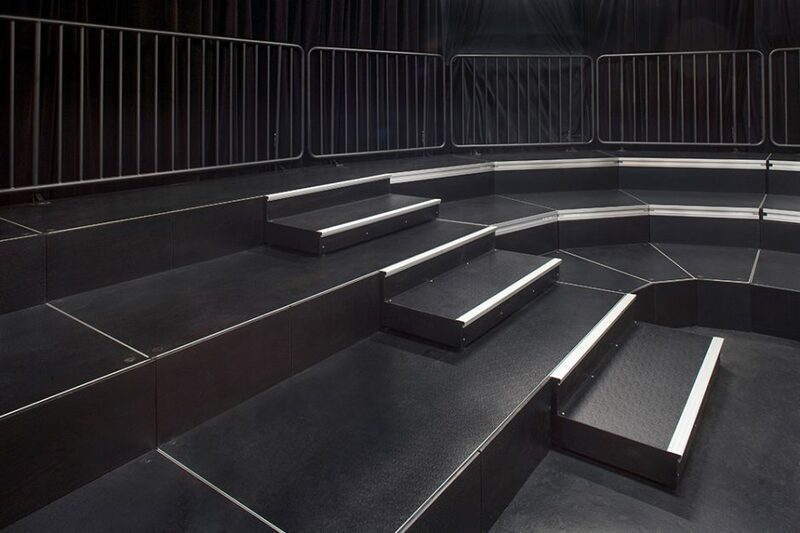 Audiences will appreciate the StageRight deck because it feels more solid under their feet and the composite structure of the deck reduces distracting noise. 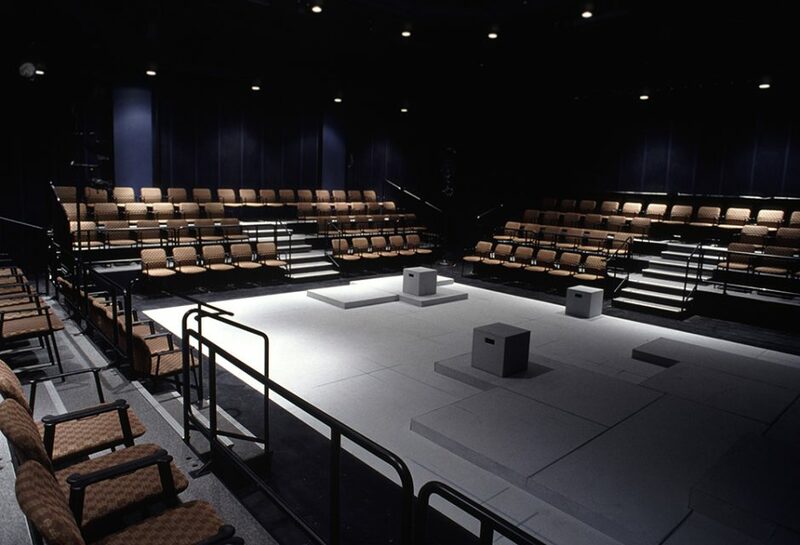 Save on your initial investment by using the Decks interchangeably on other StageRight support systems (such as Z-800 Multi-Purpose Staging) to facilitate diverse performance requirements. 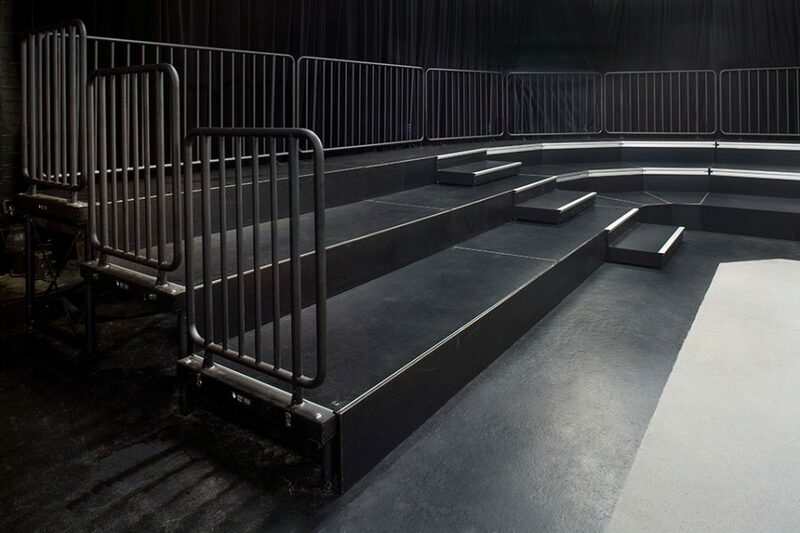 Click for more information on StageRight All Purpose Stage Decks. 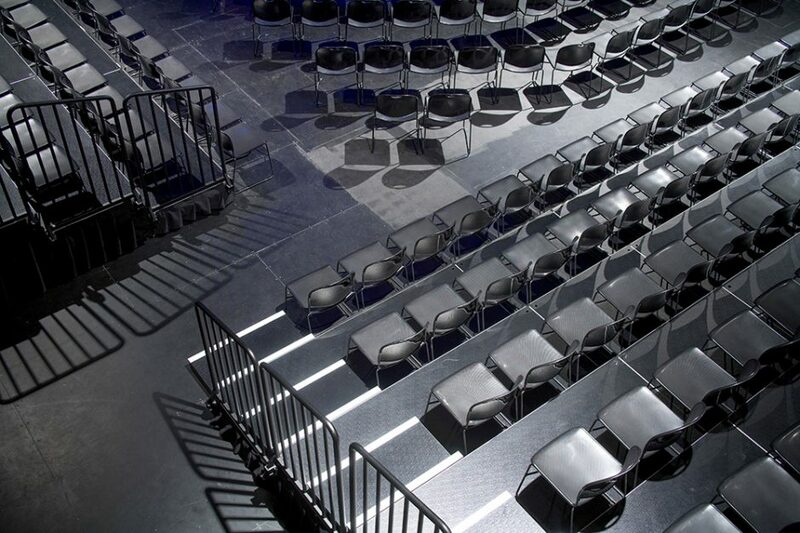 Utilize the same components to create multiple layouts and configure seating to best suit each event. 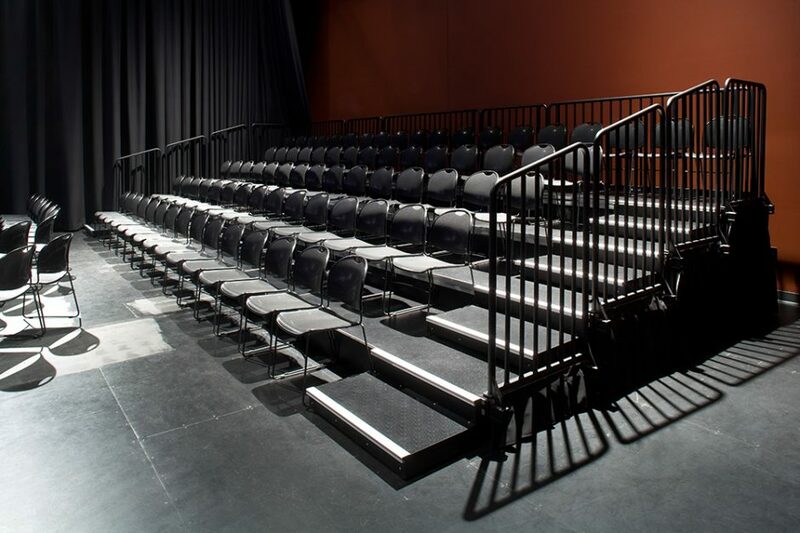 The modular system of decks with supports gives you the freedom to arrange different seating configurations. 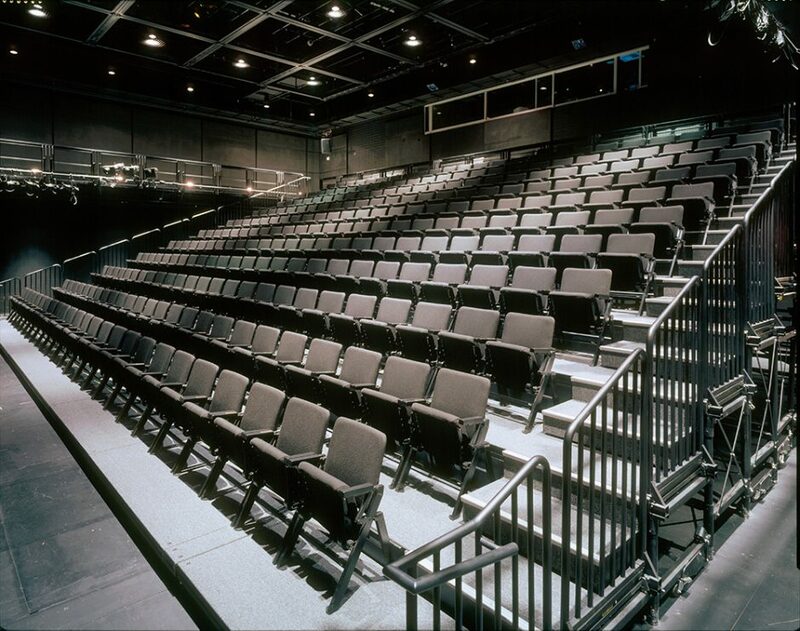 Add a finished look and safety for your audience with easy to attach Guardrails, Chairstops, Hardclosure Panels, and Skirting. 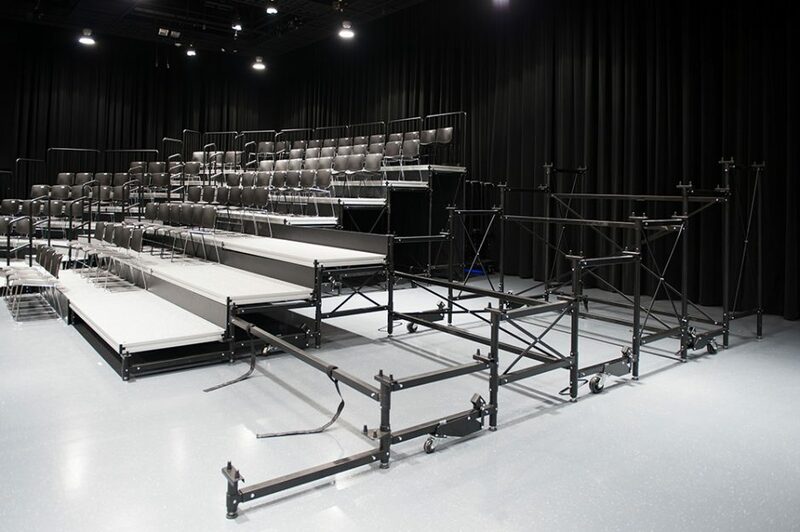 Save set-up time by simply setting the one-piece multi-level folding support into position and unfolding it into place. 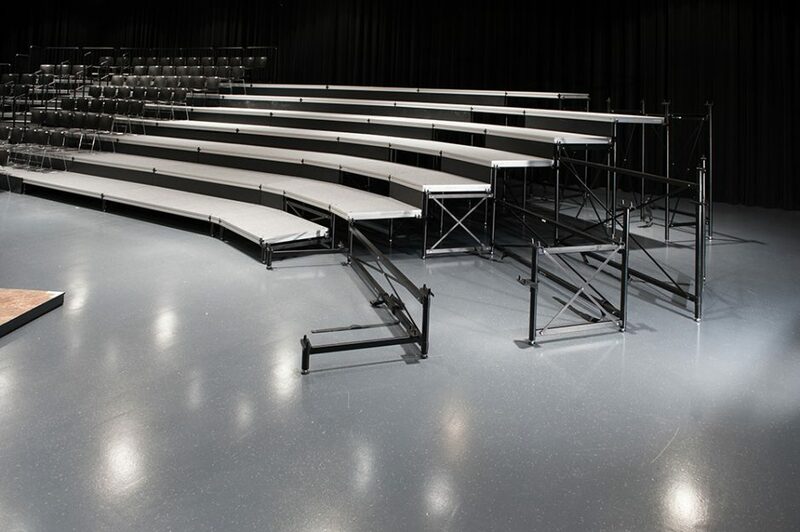 Decks bridge between supports allowing fewer supports for set-up and teardown. 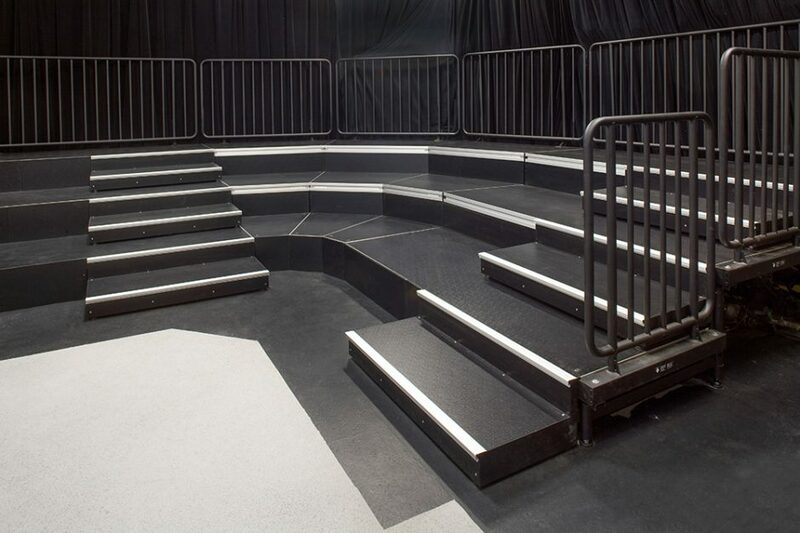 Greatly reduce leveling time as fewer elements contact the floor and the easy to use screw feet allow you to compensate for uneven floors. 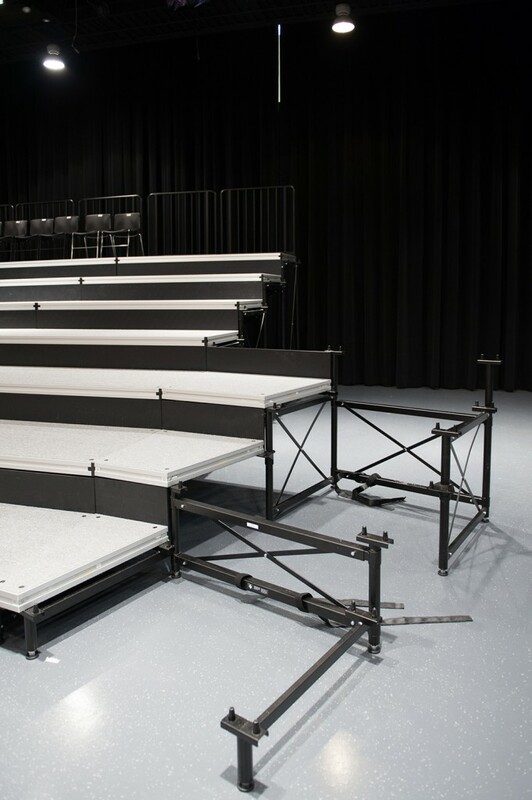 Expanded bridging capability reduces the number of required supports. 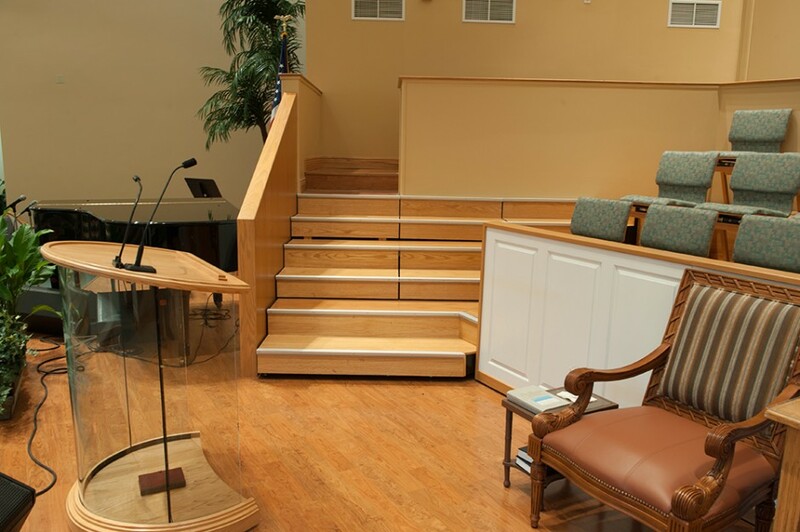 Decks are demountable and supports fold together to store compactly and efficiently. 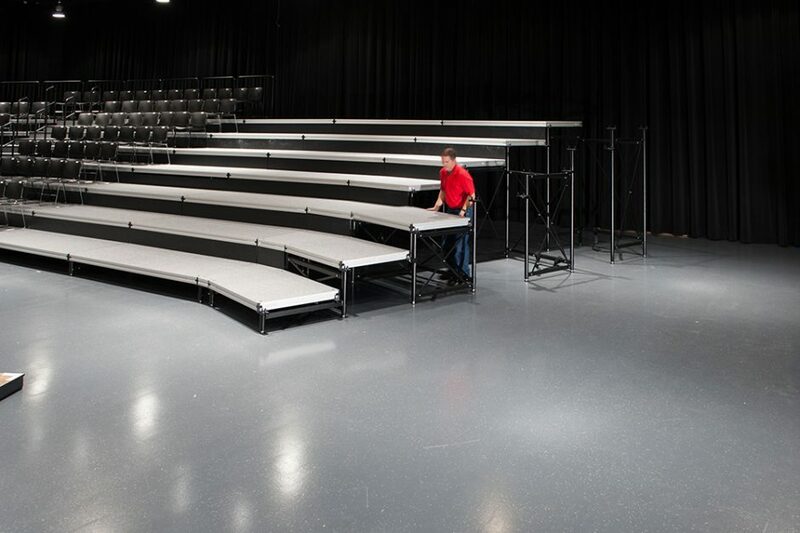 Support assemblies store compactly, down to only 10-15% of its setup configuration. 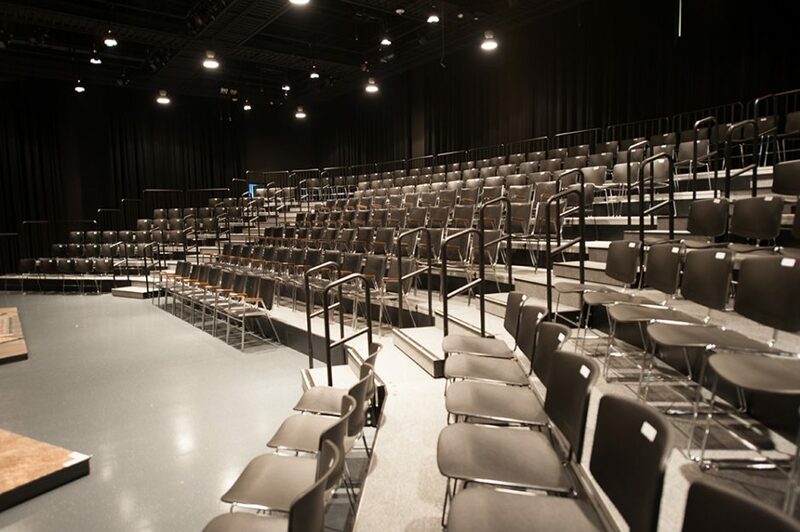 Due to its custom nature, and abundance of options available for the ZHD/ML Seating Risers, please contact a sales representative at 800-438-4499 to discuss your facilities needs and to receive design assistance, specifications and pricing.